Beautiful stained glass piece. 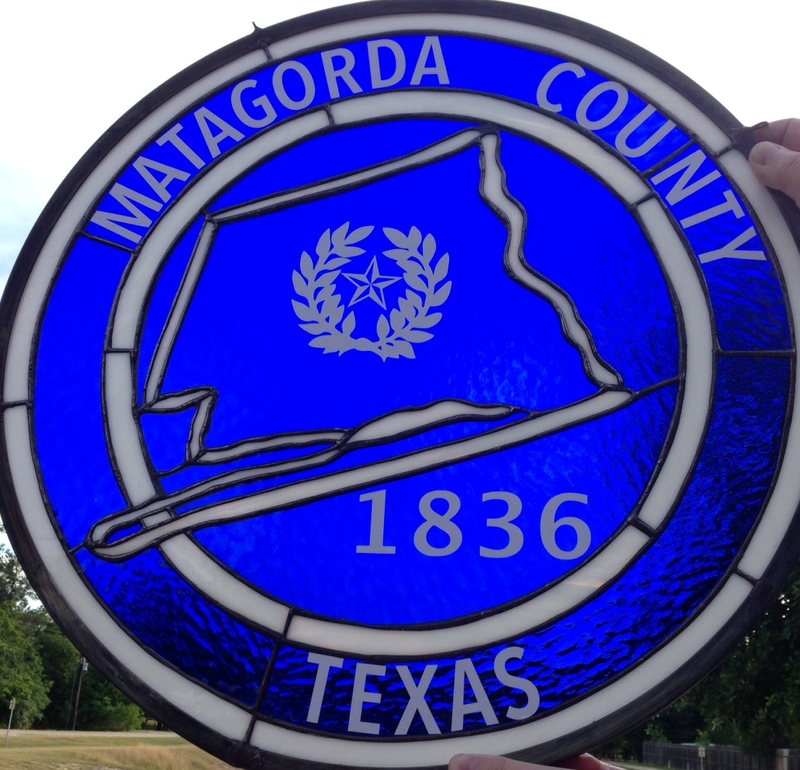 Matagorda County Commissioner piece. Made with beautiful hammered blue glass and white glass. Measures approximately 20″ circle. Can be made for any logo! Contact me at (713) 899-0933 for more information. 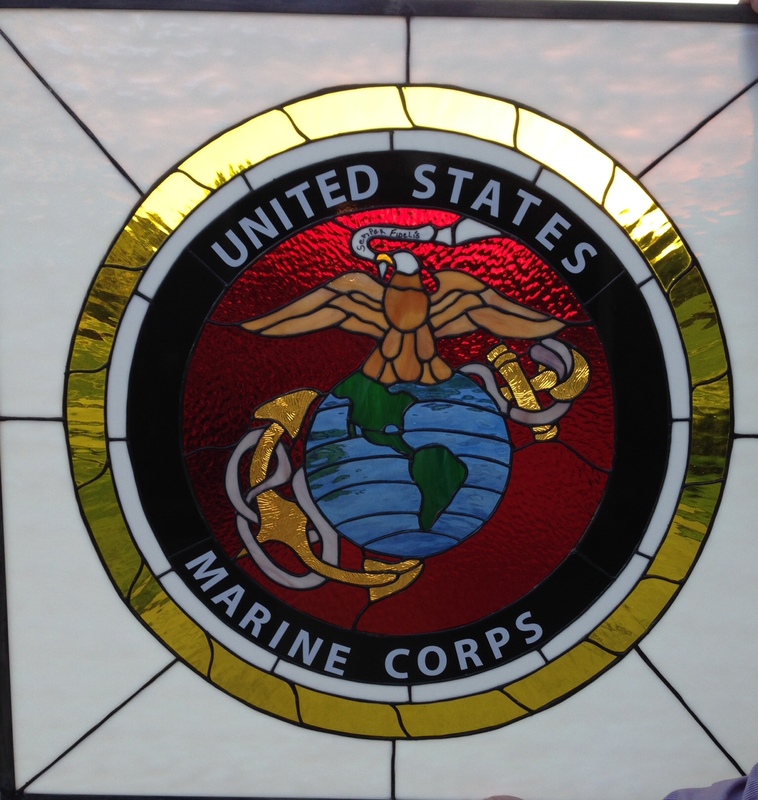 Beautiful Stained Glass Marine Logo. This is for a customer who is having it installed in a window over a door. It measures 35″ x 34-3/4″. Its home will be in California. For more information please call (713) 899-0933. 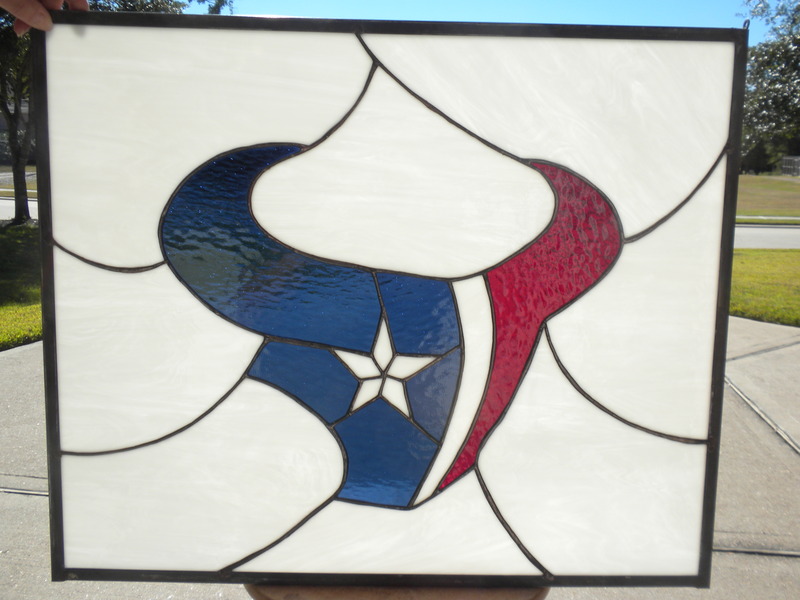 Beautiful Texans Stained Glass. Hammered Red, Blue and clear with smooth white stained glass. 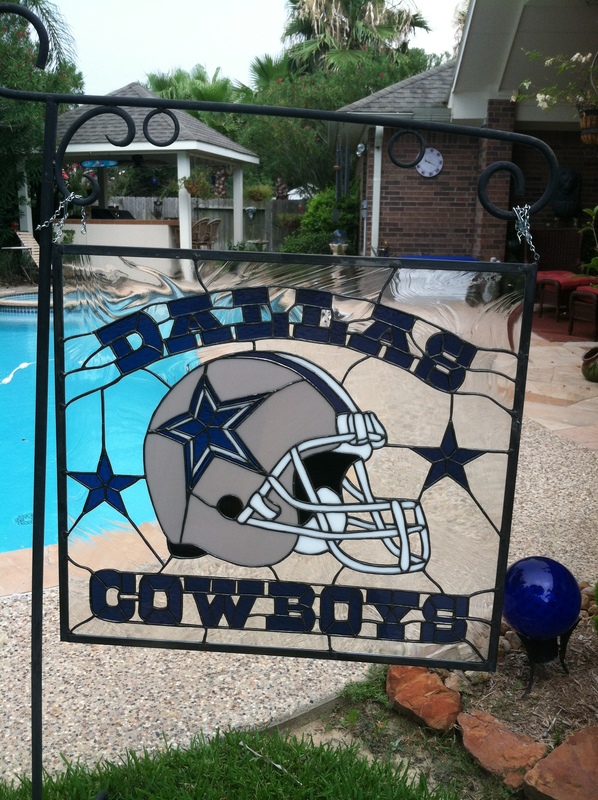 Measures approximately 13-3/4 x 30-1/2 inches. For more information please call me at (713) 899-0933! Great gift for that Texans fan or in your own home. Can be made to fit any opening if you want to insert into a window or door or can be hung. Beautiful Houston Rockets Stained Glass. Measures approximately 15 x 32. Perfect for the ROCKETS fan!! For more information please call (713) 899-0933! Texans Logo. Stained Glass, white, red and blue!! Measures approximately _____. Call (713) 899 0933 for more information! !